Madhya Pradesh (MP) GK Quiz No. 7 with Answers : Madhya Pradesh (MP) Samanya Gyan Quiz, Hindi GK Quiz Objective Questions with Answer for all competitive examination of MP State Government, MPPSC, MP Policem IBPS, SSC, BSF, Police Bharti, Teachers Exam, Admin services, State PSC, Bank, IBPS, CTET, MPTET and other examinations. 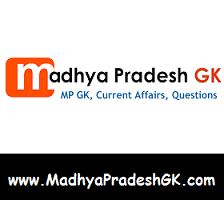 This Madhya Pradesh (MP) GK Quiz or MK GK Sample Paper Question and Answers is based on MP SI Exam Paper 2012 held in previous years. Here is Sample Question Paper for all competitive examinations. Q1. Which of the following National Highways does not pass through Madhya Pradesh? Q.2 How many tiers of administration are there in Panchayati Raj in Madhya Pradesh? Q.3 In the Bhopal Gas Tragedy of 1984 which was the gas that had leaked out? Q.4 Who founded the Ramakrishna Mission? Q.5 Which architect has prepared the plan for Chandigarh city? Q.6 Who got the Khajuraho temples constructed? Q.7 Who was the founder of the Chola dynasty in South India? Q.8 Which was the most famous festival of the Vijayanagar empire? Q.9 The famous caves at Ajanta-Ellora contain statues and murals associated with? Q.10 Which ‘pir’ lies in the famous ‘mazar’ at Ajmer?